Pottery Plaster Hand Cast ceiling medallion. 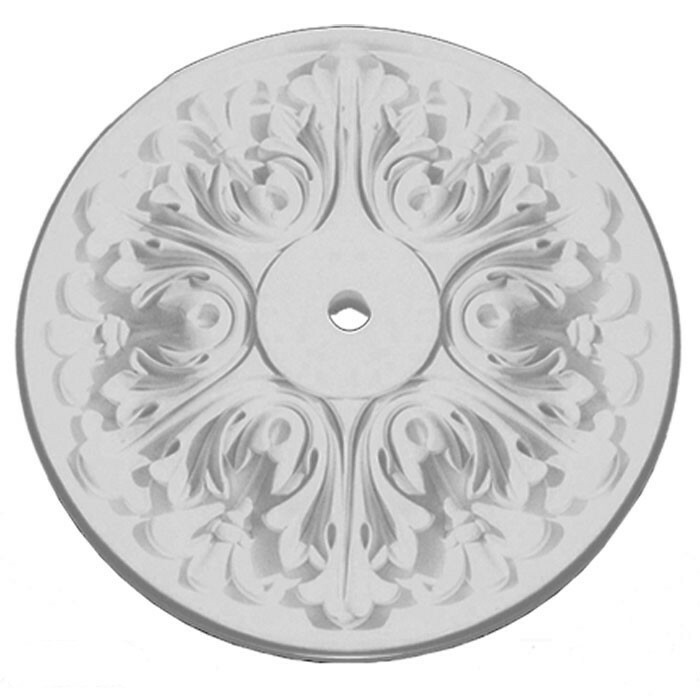 This understated and elegant medallion consists of one clear, simple acanthus pattern repeated around the center mounting opening. 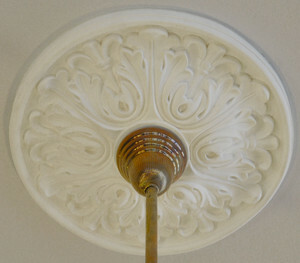 If you like the formal appearance of a ceiling medallion, but are afraid they're too fussy, this is the one to try. 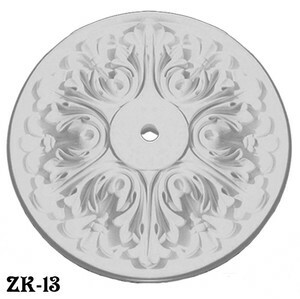 At only 2 1/2" thick, this pattern has one of the lowest profiles available from our ceiling medallion collection. 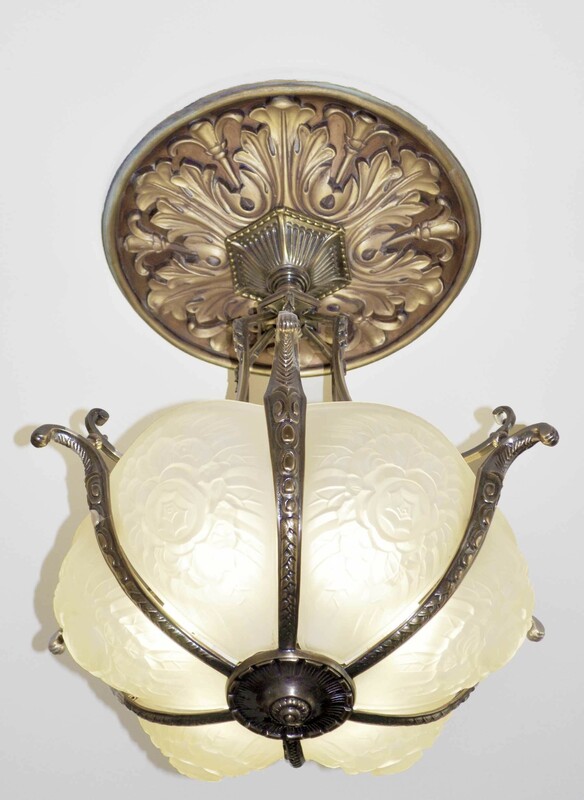 The third photo shows this medallion in close up, with a hand painted bronze color scheme that complements the antique brass finish of the light fixture. This illustrates one idea for custom painting your medallion to accent your own unique décor and light fixtures. Flat Center Area: 5 3/16" diameter.